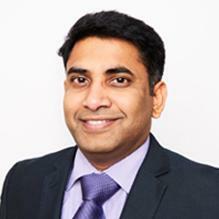 Dr Babu Mani is a General adult Consultant Psychiatrist, working for the Berkshire Healthcare Foundation Trust. He also has substantial experience in old age psychiatry. He is currently working as a Consultant Liaison Psychiatrist for the Psychological Medicine Service (16+ service) based in Royal Berkshire Hospital, Reading. He has been a Member of the Royal College of Psychiatrists since 2009. He assesses and diagnoses patients for a wide range of presentations including depression, self-harm, stress related disorders, anxiety, bipolar affective disorders, OCD and psychotic illnesses. He has particular interests in treatment of affective disorders (Depression & Bipolar affective disorder) and Electro-convulsive therapy (ECT). Dr Mani delivers regular teaching and supervision sessions for students and doctors in training. He is an experienced and capable clinician with a gentle manner and we’re delighted to work with him. You don't need a GP referral to see Dr Babu Mani.